“The Afghan woman poet predates the American or European female poet,” says Zohra Saed, an Afghan-American poet living in New York City. “Consider the poet queen Rabia Balkhi.” Legend has it this 11th century Afghan used her last drop of blood to write poems. In Brooklyn, my Farsi writing skills never went beyond the 1st grade level. I remember the stapled together books with sentences like “Lala naan daad” (big brother gave bread) to help practice the connection of letters and sounds. The hand sketched illustrations, the blur of the copy machine and the occasional smears of a handwritten booklet. I even remember the chapter on “Toofang” (gun). The booklets were copied off of the ones going to refugee camps through UNESCO, so even though ensconced in the brick and cement of Brooklyn, war came to us as children in the form of learning words the same as they reached refugee children. The way I speak Farsi, with my kitchen vocabulary and the way it is punctured through with Uzbek and English, has always been a source of anxiety for me. I was mocked for it as a child amongst others. It is only this year that I am amongst other friends my age struggling to learn Farsi on our own and practicing in our own company. It is a humbling project to say the least. Because of my language limitations I’ve always been hesitant to speak about poetry in Farsi and Pashtu, each with their own rich tradition of language and of women poets. 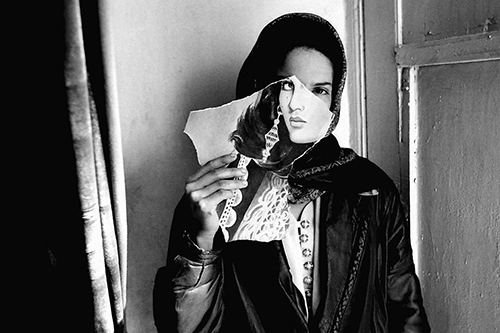 Also, when people write about Afghan women, I wonder if they see us or see an anonymous blur of women. But I was happy that Leigh asked more nuanced questions about the poetry of war and witness and survival by Afghan women. I love your honesty Zohra. That is also one thing I lament- not being able to enjoy the works of so many Afghan/Persian writers. Djalal Khaleghi Motlagh, Nahid Pirnazar This was just recently translated from German in both English and Farsi. Big breakthrough in the study of women in Afghan/Persian literature.